By Popular Demand 1-1 hypoglycemia phone or skype Coaching with Damian!!! So guys- many of you have emailed me over the past few months and years and asked me if I provided online or phone coaching for individuals trying to follow the Hypoglycemia diet provided in my Ebook. However the demand for me to offer some type of coaching programme has been so great I decided to yield to the demand!!!! 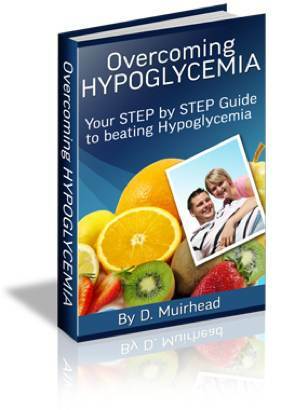 Now in my opinion, my Ebook on Hypoglycemia is the most comprehensive of its type. It contains all of the information necessary to successfully beat your condition. However many people have been contacting me and asking me if I could provide some online or phone coaching and support as they struggled to adjust to a life style change. If you sign up for coaching and have not bought my Ebook I will throw it in free if you purchase at least 2 coaching sessions!!!! Now I know this sounds crazy for me to be practically giving away my Ebook-but to be honest- I want to help as many people as possible and so if that means throwing it free with every 2 coaching sessions purchased then so be it! If you have not purchased my Ebook and purchase 2 coaching sessions for $200 I will throw in the Ebook for free!!!!!! Payments to be made before sessions via paypal. So contact me today to start your road to recovery! Paying by Paypal is completely secure and both seller and buyer are protected by Paypals buyer protection which means you can dispute any payments if you are not satisfied. If you are interested in coaching please purchase a session with the " buy now" button below and I will send you an invoice for the required amount. Please specify how many sessions you would like.